Today we’ve got a new quiz for you. It’s about one of my favorite television shows ever: “Friends”. 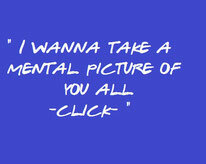 We will give you a quote and you have to guess who said it. To make it a bit easier for you it will be a multiple choice quiz. Here we go! "And just so you know: It's not that common, it doesn't happen to every guy and it IS a big deal!" "Here come the meat sweats"
I can hear traffic and birds! I can hear the voices in my head again! "I wanna take a mental picture of you all - CLICK-"
"Are we playing football or what? 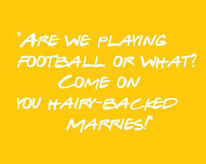 Come on you hairy-backed Marries!" So how did you do? What's your favorite quote? Would you like more quiz's like these? Let us know! Okay I have to admit that I didn't do as well as I thought I would do! What a shame, I should definitely look the series again :D It's been a while.. I am a fan of FRIENDS! So yeah I took the quiz haha... Didn't perfect it though. I only got 4 points :( . God I miss this show. I marathoned it years ago and I can still remember how much I laughed the entire night watching this. It's one of the best shows there is. My husband is a huge "Friends" fan. He aced this test! Hahaha! We enjoyed answering this test together although I'm lightyears away in terms of remembering episodes and stuff. He can imitate facial expressions too. I hope we can have more shows like this instead of crappy reality TV shows. I'm a FRIENDS fan but I admit, I need a refresher! I did bad in the quiz. Hahaha. But Joey's gotta be my most fave comical character from the series. But definitely got #1 right! Hahaha.